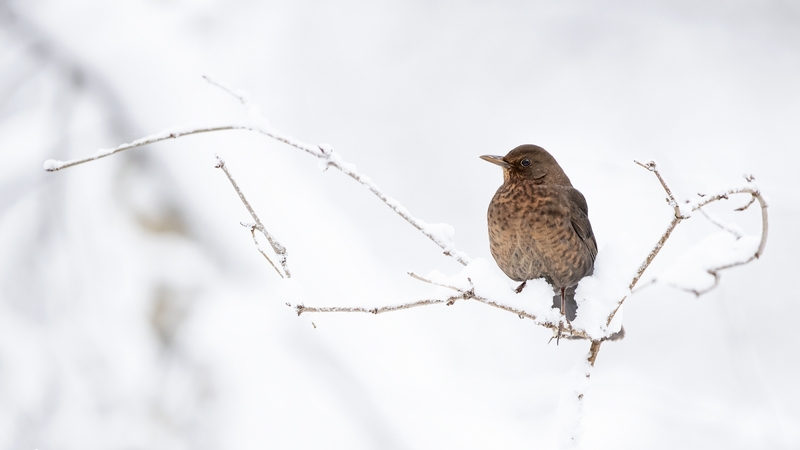 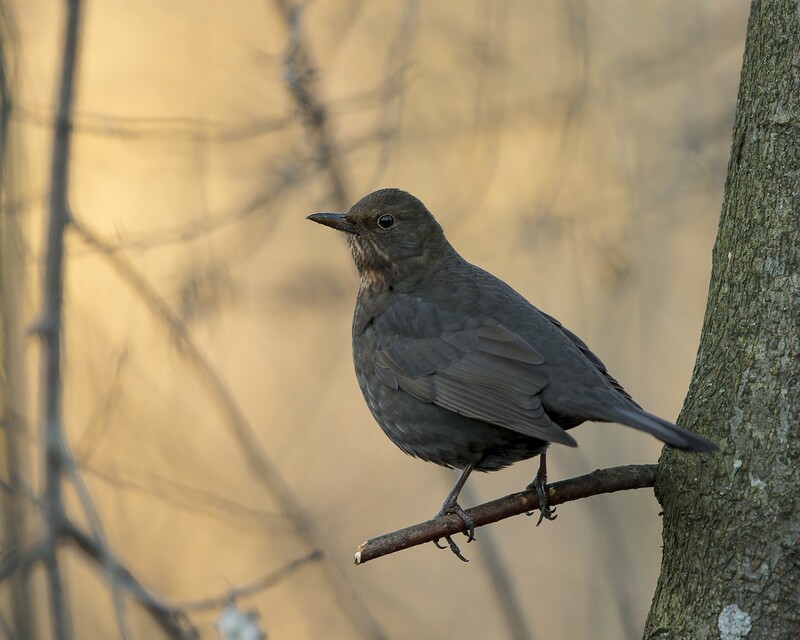 Common blackbird is a species of true thrush. 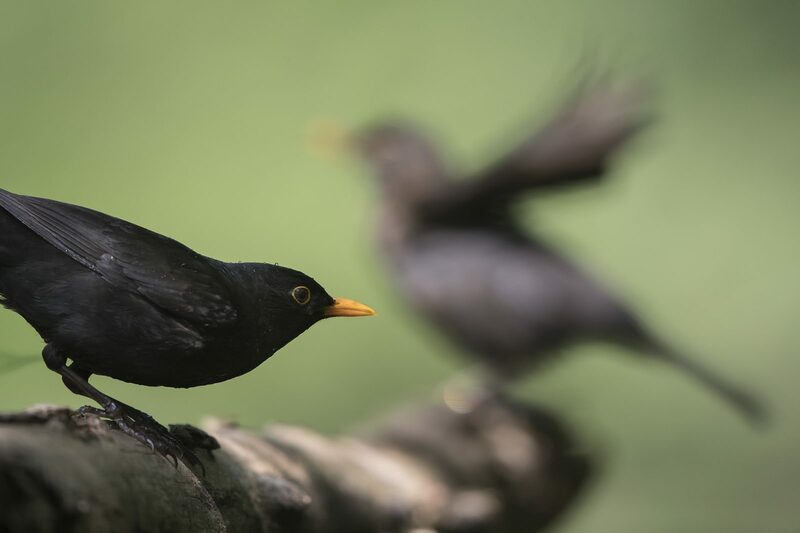 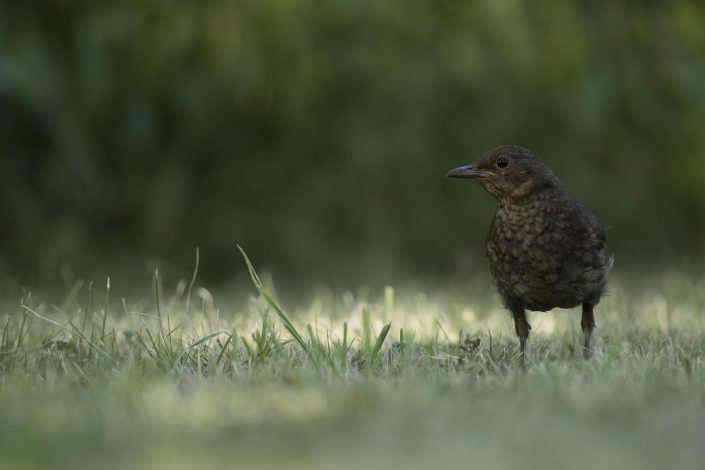 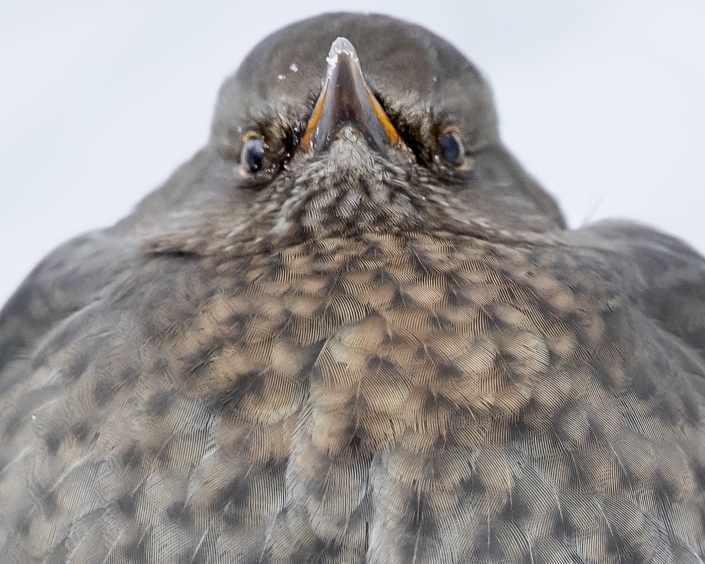 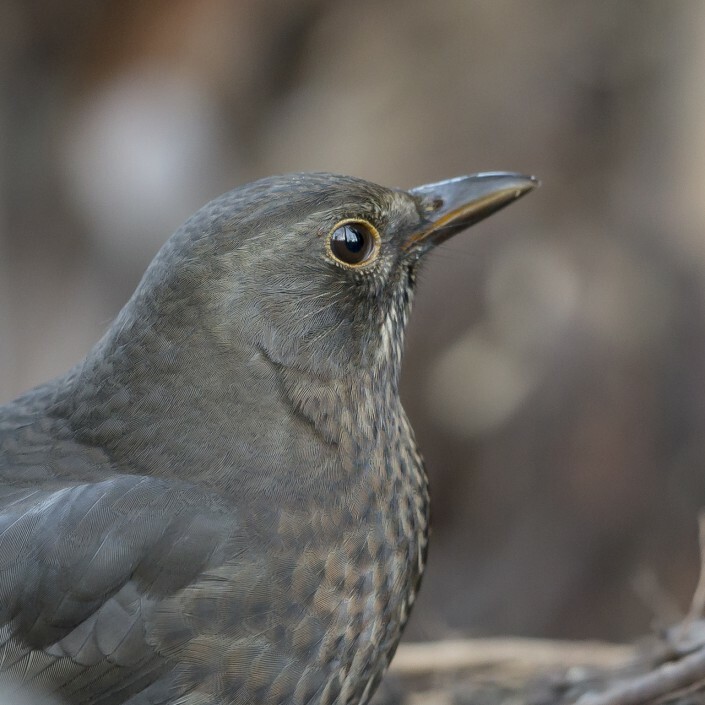 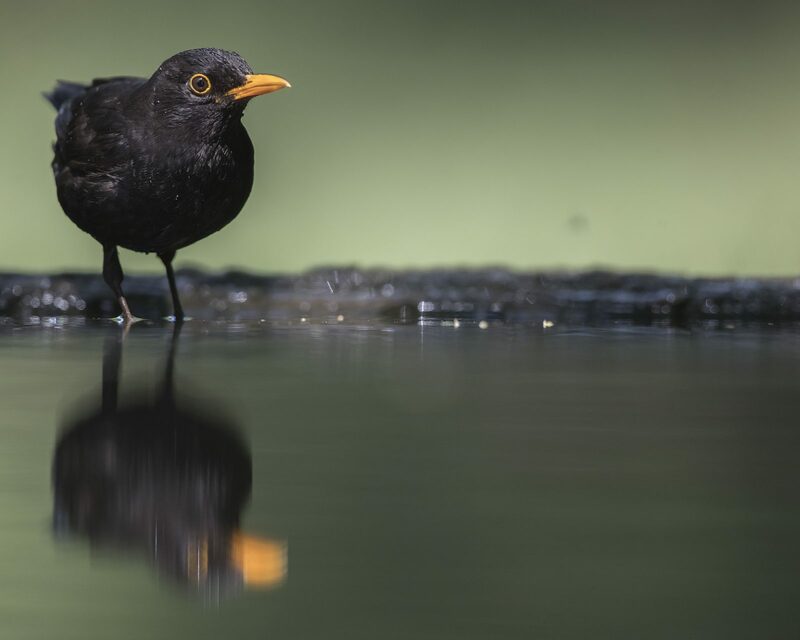 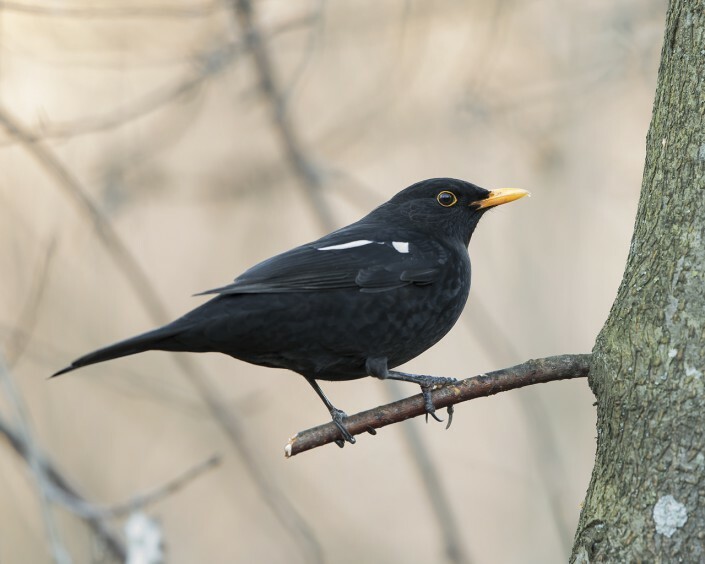 It is also called Eurasian blackbird (especially in North America, to distinguish it from the unrelated New World blackbirds), or simply blackbird where this does not lead to confusion with a similar-looking local species. It breeds in Europe, Asia, and North Africa, and has been introduced to Canada, United States, Mexico, Peru, Brazil, Argentina, Uruguay, the Falkland Islands, Chile, South Africa, Australia and New Zealand. 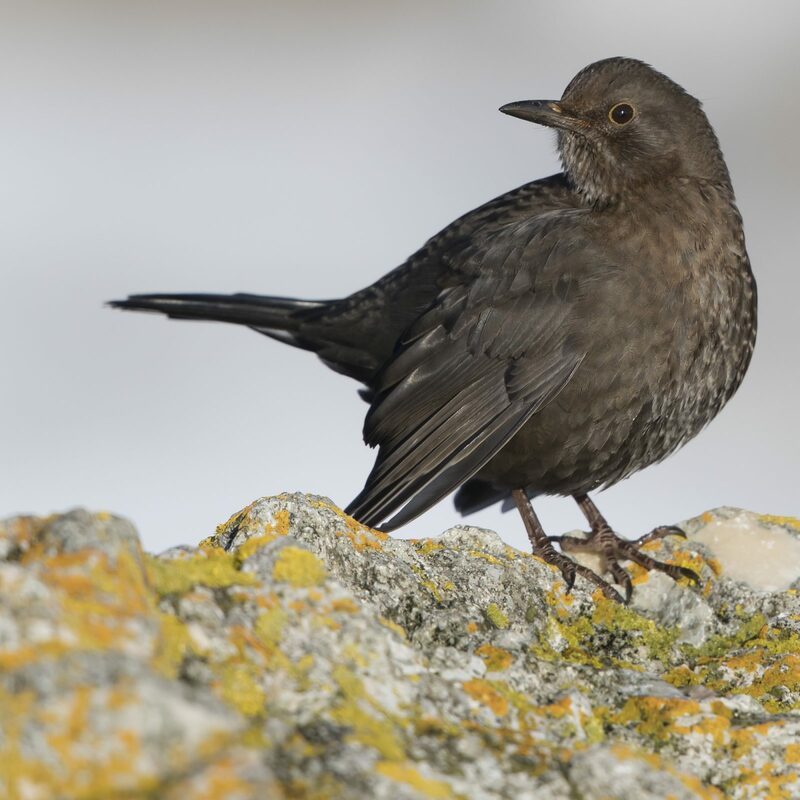 It has a number of subspecies across its large range; a few of the Asian subspecies are sometimes considered to be full species. 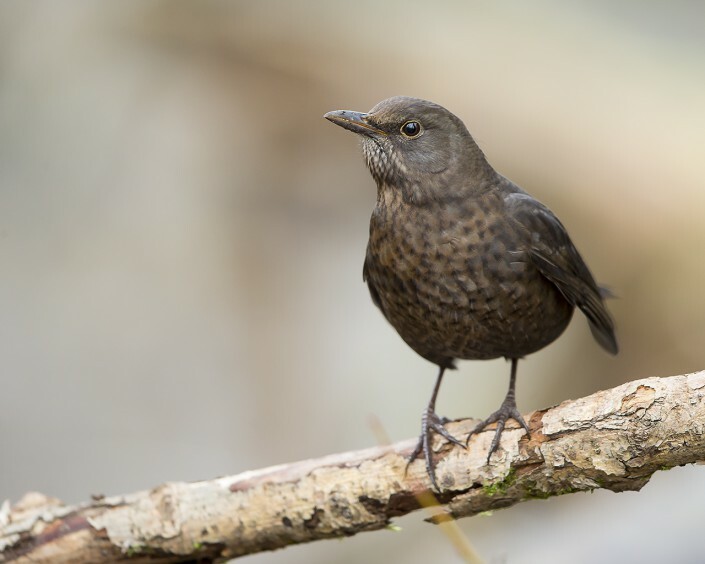 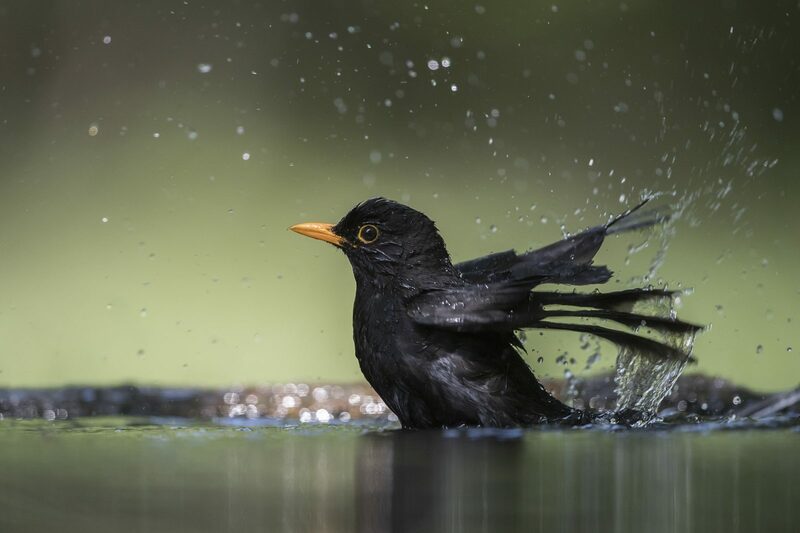 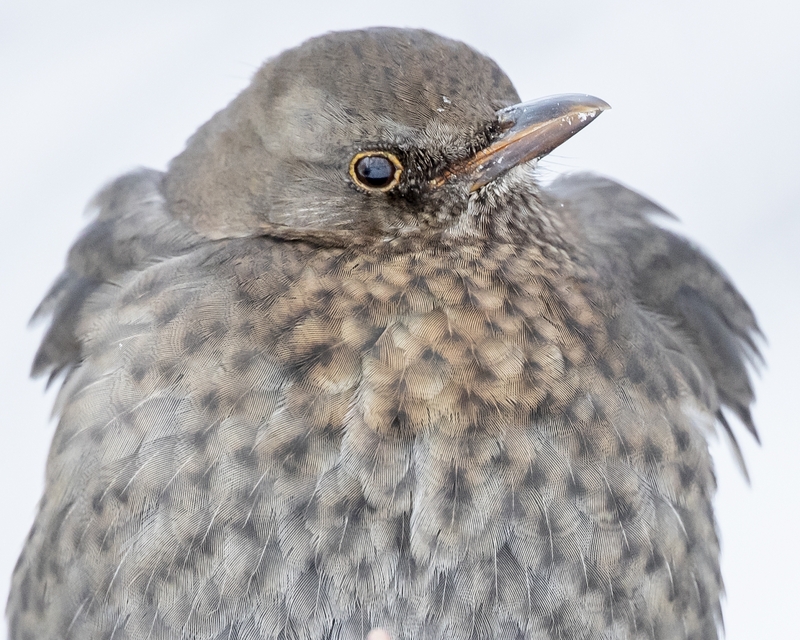 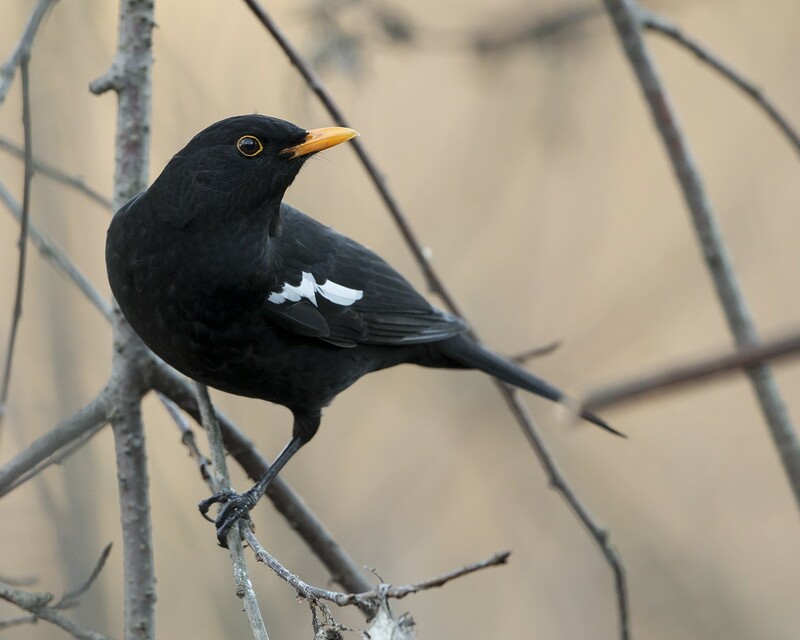 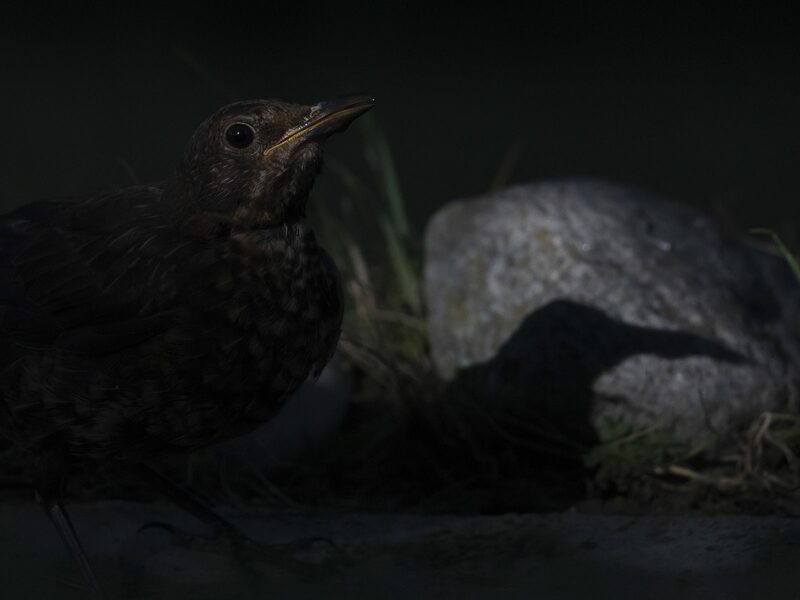 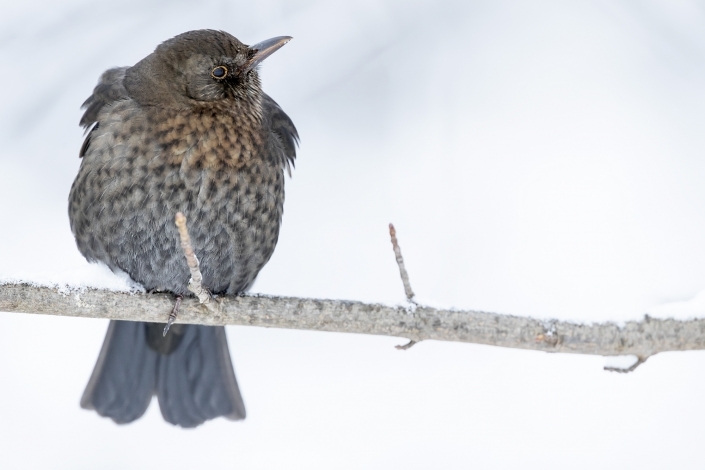 Depending on latitude, the common blackbird may be resident, partially migratory, or fully migratory. 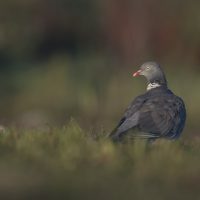 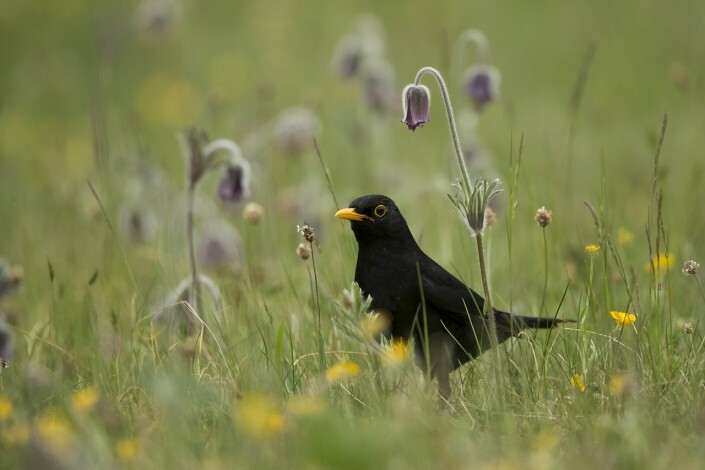 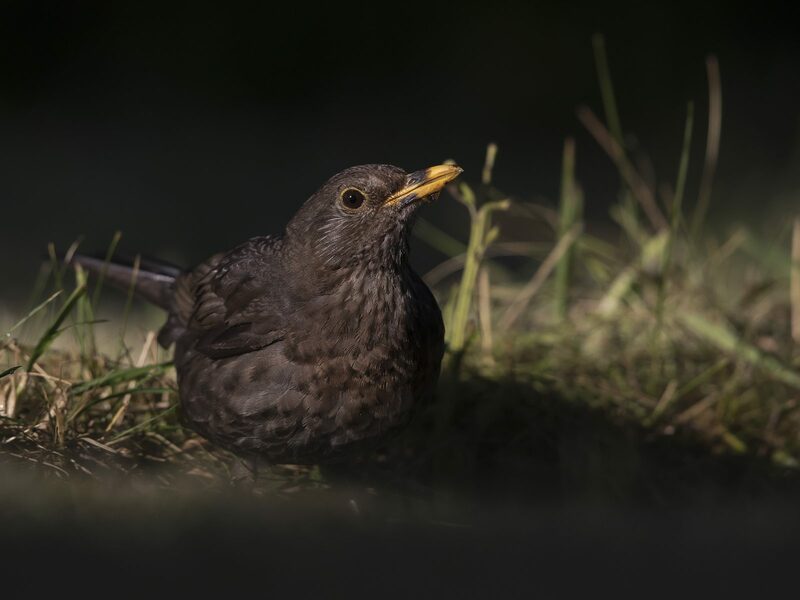 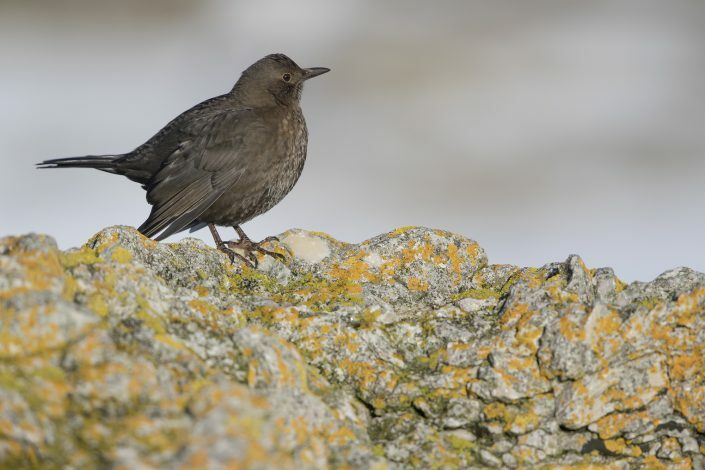 The male of the nominate subspecies, which is found throughout most of Europe, is all black except for a yellow eye-ring and bill and has a rich, melodious song; the adult female and juvenile have mainly dark brown plumage. 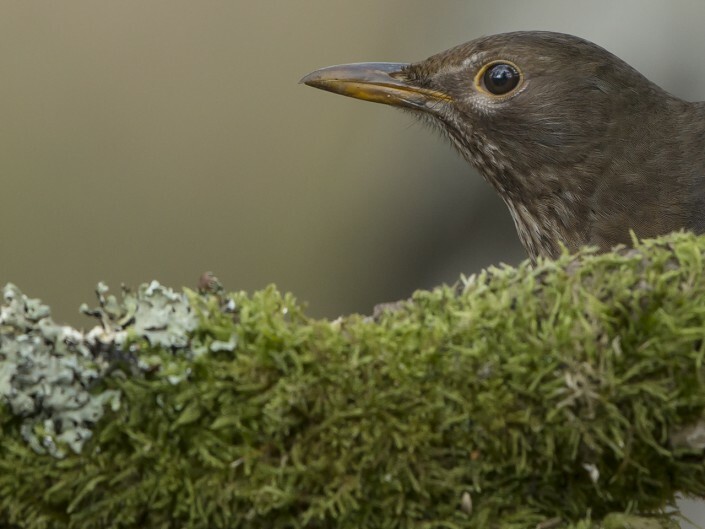 This species breeds in woods and gardens, building a neat, mud-lined, cup-shaped nest. 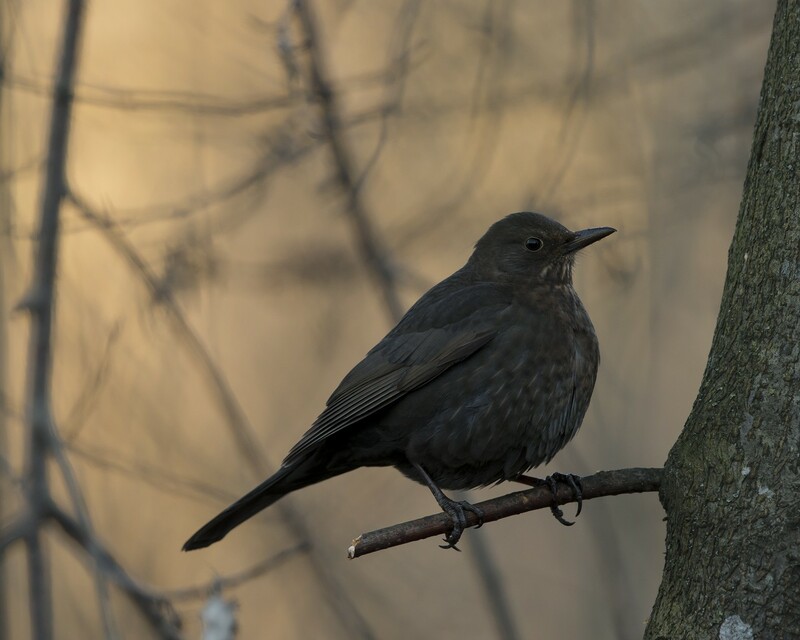 It is omnivorous, eating a wide range of insects, earthworms, berries, and fruits.